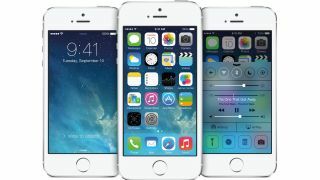 The iPhone 5S and iPhone 5C have touched down with more LTE love than ever, but O2's 4G network was missing from the lineup of networks offer the super fast speeds on the new handsets from launch. But that's now changed, with O2 customers able to hop onto 4G on their flashy new iPhones starting today. But hold your horses. In order to enjoy the speedier speeds you'll need to update your carrier settings, which you can do by connecting the phone to Wi-Fi or iTunes. Your iPhone will then be able to support the 800mhz band on which O2's 4G runs. Needless to say, you'll also have to be in an area that's actually covered by O2's 4G. So that's London, Leicester, Leeds, Birmingham, Bradford, Coventry, Sheffield and Nottingham. Those of you in Edinburgh, Newcastle, Liverpool, Glasgow or Manchester can also expect to be covered by the end of the year. Still not sure which one's right for you? Go read our extensive reviews of the iPhone 5S and iPhone 5C.